Heat oil in the pan, saute garlic and onions until translucent. Add in all the veggies and toss well Add the salt, powder masala and cheese. Mix it well and switch off the gas Do not overcook the veggies. Cool the mixture Garnish with coriander leaves and add Kissan Fresh Tomato Ketchup Cut the edges off the bread. Make a slurry mixture of maida and water Take two slices of bread and put 2 tablespoons of filling on one slice. Apply the slurry mixture at the corner and place the second slice on top and seal the edges just like a toastie. Baked Bread PakoraStep by Step with Photos - Bread Pakora is very delicious and yummy Snacks recipe with is very easy to make with minimal ingredients and Herbs. It’s very popular brunch and evening snacks recipe which give wow-some and delicious taste to your taste buds. 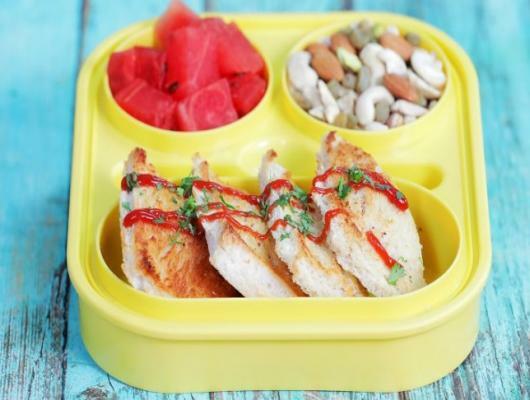 It is the great and best option for Kids school Tiffin. It is very creative to make with Delicious and tasty favourite filling for kids. One thing which makes Bread Pakora more Delicious and gives the tangy taste to it is Kissan Fresh Tomato Ketchup. 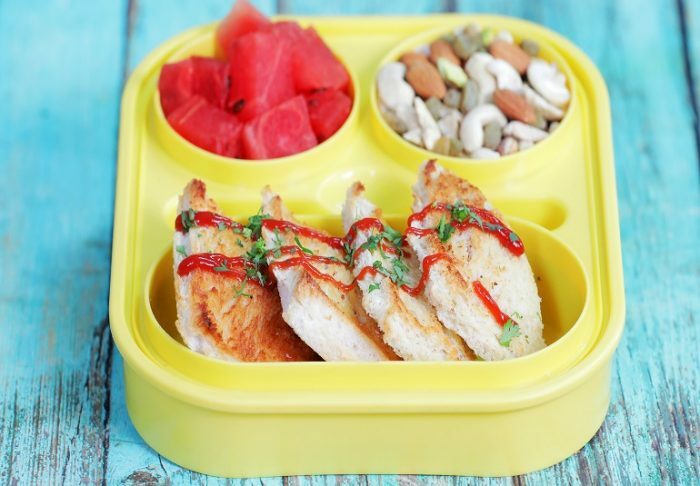 It is very crispy, cheesy, yummy and perfect for school Tiffin for Kids.